AT&T recently dropped the price of Nokia's flagship phone, the Windows Phone-powered Nokia Lumia 900, to $50 with a new two-year contract. It's a great deal for a high end phone that was already pretty cheap at the original price of $100, when most popular phones sell for $200. But is Nokia's phone worth it, even at $50? The problem with the Lumia 900 is that it's essentially a dead end from a technology perspective. 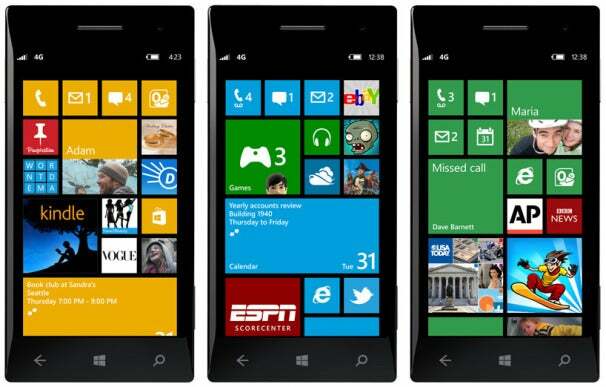 In the fall, Microsoft is rolling out Windows Phone 8, the next generation version of its new mobile platform. And all current Windows Phone devices can't upgrade to the new OS. Sure, Microsoft will be upgrading current Windows Phone 7.5 devices to Windows 7.8, but is that enough to convince you to live with the Lumia 900 for the length of a two-year contract with AT&T? Nokia in late June added some great new features to its camera app including a self-timer, action shot function, a new panorama mode, and smart group shot that creates a composite photo from several snaps taken in quick succession. The new app is available now for Lumia phones in the Windows Phone Marketplace. Nokia is also offering a new Nokia Play To app for streaming content on your phone to a PC, Blu-ray player, HDTV, or other DLNA-compatible device. A new app called Nokia Counter can track your cell phone usage including data, voice, and messaging. There are also updated versions of Nokia Music, Maps, Transit, and Drive. The biggest feature Lumia 900 users have to look forward to is the Windows Phone 7.8 update expected after the Windows Phone 8 launch this fall. Windows Phone 7.8 will give current Windows Phone 7.5 users the new Start Screen that is one of the centerpiece features of Windows Phone 8. The new Start Screen removes the thin black strip on the right side of current devices and lets Windows Phone live tiles fill up the entire screen. You can also resize Windows Phone live tiles to cram as much or as little as you'd like into your Start Screen. It will have three live tile sizes: a small square, medium-sized square, and a large rectangle. Current Windows Phone devices have two different, non-customizable live tile sizes. Live tiles are the square colored icons in the Windows Phone interface. The tiles are capable of displaying real-time information at a glance such as new e-mail messages, calendar appointments, social networking updates, and weather. The biggest downside for the Lumia 900, and all Windows Phone 7 devices for that matter, is that Windows Phone 7.8 is no replacement for Windows Phone 8. The new features coming to the new mobile OS include an improved Web browser with Internet Explorer 10, removable SD card storage, and a digital wallet hub. Windows Phone 8 is also supporting wider hardware functionality such as multicore processor support, two new screen resolutions (1280-by-768 and 1280-by-720), and Near-Field Communication for mobile payments, social networking check-ins and other tap-and-go services. Microsoft is also improving maps and directions in Windows Phone 8, but considering Microsoft will be relying on Nokia's mapping solutions, Lumia 900 users shouldn't miss out on any improvements. Windows Phone 8 devices will be guaranteed to have 18 months of support from Microsoft in terms of updates, but Windows Phone 7 users shouldn't count on too many updates beyond 7.8. During its Windows Phone 8 announcement in late June, Microsoft said Windows Phone 7.5 users could count on a Windows Phone 7.8 update and more 7.5-compatible app added to the Windows Phone Marketplace. But keep in mind that any app designed to take advantage of Windows Phone 8 features will not be backwards compatible to Windows Phone 7.8. 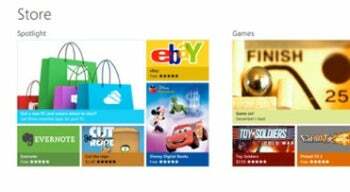 If you're already a smartphone user and considering the jump to Windows Phone to grab a cheap Lumia, make sure you take a look at the Windows Phone Marketplace to see if the current app catalog meets your needs. With more than 100,000 apps you'll find a lot of stuff, but there might be some annoying gaps in the Marketplace that will make the Windows Phone transition harder. A big missing app for me personally is Dropbox. Sure, you can buy some imitators that hook into the Dropbox API, but nothing replaces having access to your files through a native Dropbox app. The Lumia 900 is a great device and is one of PCWorld's top 10 rated phones, but before you buy it make sure the Lumia 900 is the right device for you for the next two years.